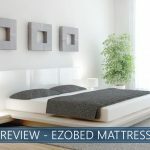 Linenspa Bamboo Bed Sheets Review - A Good Value for Money in 2019? Are your bed and bedroom a sanctuary for you from a hard day's work? Do you climb into bed and instantly feel relaxed, or do you find it hard to switch off again? If the latter is true, you might need to look at changing things up a bit when it comes to your bed and bedding. It could be as simple as switching out your sheets – the softer and more comfortable your sheets, the more you will enjoy spending time in bed. Cotton sheets are seen as the gold standard, but their top dog status is in jeopardy because of a relative newcomer – bamboo. Did you know that bamboo can be processed into a type of Rayon that has similar properties to cotton but is more absorbent? Bamboo sheets are fast becoming the hottest thing to hit the bedding industry in years, and Linenspa is one of the companies that has been making use of this brand-new tech. Since 2005, Linenspa has been perfecting bedding for its clients. 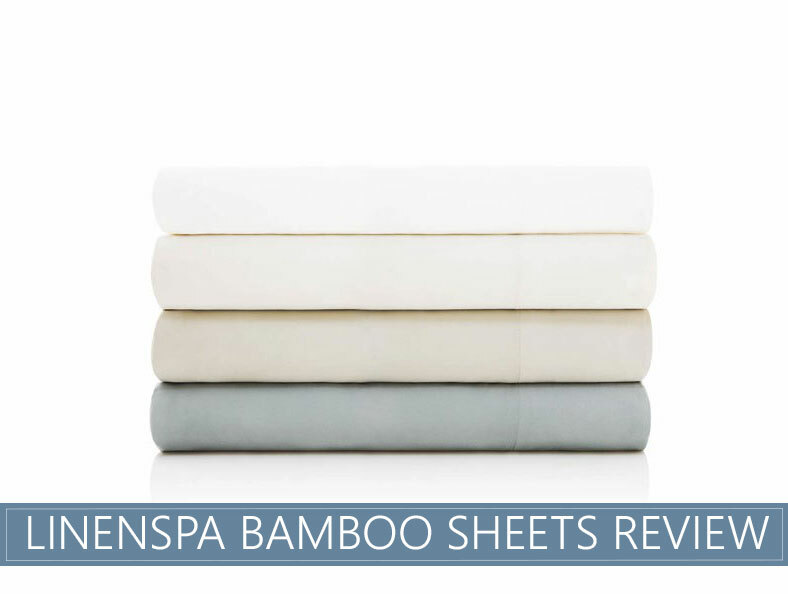 But how does the Linenspa Bamboo Sheets stack up? Let’s go and find out. You get a fitted and a flat sheet plus two pillowcases for all beds that are double or bigger. With the single beds, you get one pillowcase. Six sizes in total, starting at Twin and going all the way up to Cal King. Available in Off-White, Khaki, Lemon-Lime and Sky. A twill weave is used. Helps regulate your body temperature. The fitted sheets are deep-pocketed and will fit a mattress of up to 18 inches. You can wash them in the machine and use a dryer to dry them. Exciting colors for the sheets. Feels silky and somewhat soft. Helps to keep body temperature constant in hot or cold weather. A lot of different sizes are available. The sheets fits nicely, even when you have a somewhat deeper mattress. These sheets, like others of the same textile, are prone to wrinkling. You need to follow the washing and drying instructions carefully. Ironing should only be done on a low setting so will take longer. The fabric used when making the sheets is Rayon. 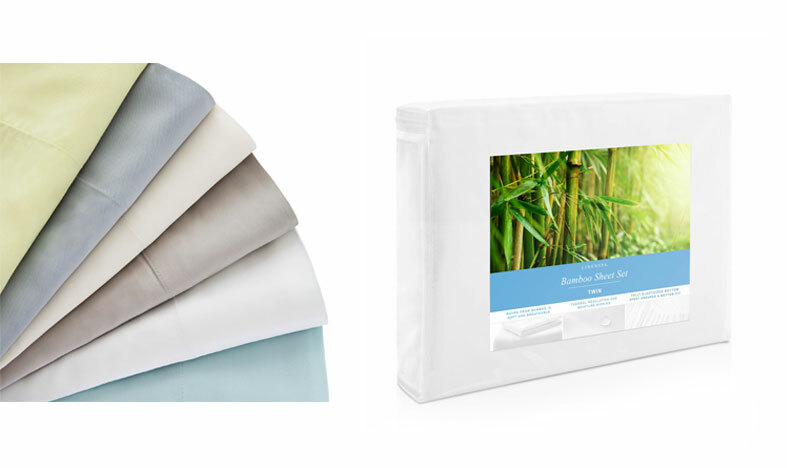 What makes this different to your standard offerings is that the Rayon is sourced entirely from bamboo, so your sheets are made from a completely natural fiber. Put another feather in your cap when it comes to the environment because the process used to create Rayon from bamboo uses a lot less water than processing cotton does. Also, as a crop, bamboo also comes up tops. It grows faster than cotton, needs less water and care and is easier to harvest. And, as if that weren't enough for you, it makes fabric that is really soft, and that holds its shape and color well. Linenspa Bamboo sheets are well-constructed. The seams have been well-stitched and are sturdy. There should not be any puckering, even after a few successive washes. The color is said to be light-fast and resistant to bleeding, and so the sheets can be put in with your normal wash without worrying about turning it a different color. Some thought has gone into finishing this product off well. The sizing seems a little on the larger size, but this would be to compensate for deeper mattresses. It would be a good idea to measure you’re the height of the mattress, as well as it’s width and length if you do decide to place an order. Bamboo fibers measure up well when it comes to strength. The key though is to take some time and ensure that you are cleaning them properly. Throwing them into a hot wash and then following that up with a session in the dryer at its highest temperature is only going to mean that they start wearing a lot faster. It’s simple – you are paying a lot for them, it makes sense to take the time to learn how to properly wash and dry them. Fortunately, it’s not that hard – treat them gently. Wash using a cold cycle and preferably allow them to dry on the line. If you must iron them, use a cool iron and never let bleach get near them. Learn more: How Often Should You Wash Your Bed Sheets? It is the weight of the material that could prove to be the best advantage that bamboo has over cotton. The sheets are naturally a lot lighter in weight. 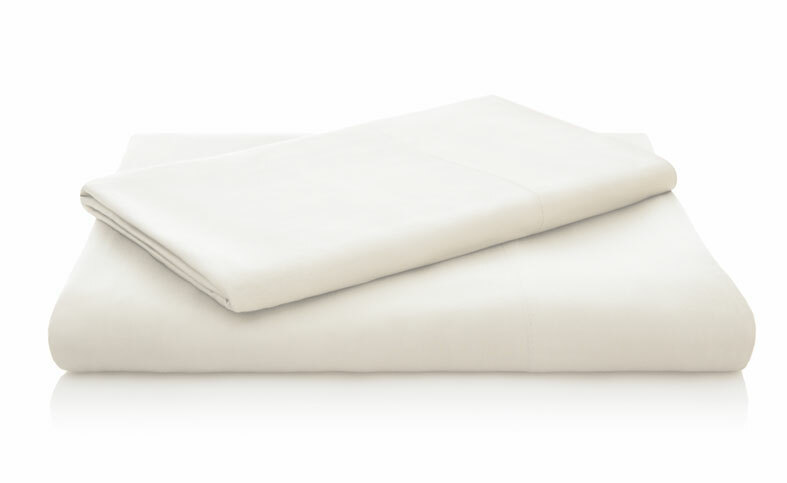 In comparison to other bamboo sheets, this product does come out a little on the heavy side. It could be as a result of the twill weave used in production. This does strengthen the fabric, but it also makes it a little thicker than normal and so a little heavier. You would need to decide whether or not this would be a problem for you. The extra weight does not interfere with the overall breathability. The other big advantage that bamboo textiles have over cotton is how they feel against the skin. While cotton feels crisp and always just a little unyielding, bamboo is softer and smoother. It is more like silk or satin than cotton could ever be. The bamboo-based material is a lot more tactile and a lot softer. It helps to regulate your body temperature and pull water away from your skin so that you can have a comfortable night's sleep. People liken it to sleeping on a cloud, with some people even saying that they didn’t want to get out of bed in the morning! If you need some extra pampering, this could be a very good option for you. Who doesn’t need a little more softness in their lives? No matter what you are looking at, this kind of bedding costs more than standard bedding would. In terms of durability and feel though, they really are in a class of their own. You just don’t get this blend of softness and temperature regulation with other fabrics. On the upside, this is one of the more affordable options in this class of products and the company offers a full money-back guarantee on their goods so should anything go wrong, or you don’t feel as though they have lived up to their promise, you can request a refund. Who Should Buy Linenspa Bamboo Sheets? People who like the feel of silk against their skin. This textile has a smooth feel that you just cannot get from cotton. Those who have a little breathing room in their budget – these do cost more than average. Hot sleepers looking for a solution that actually works – the breathability factor here exceeds that of cotton. Those who have sensitive skin – the softer, rounded fibers are a lot gentler on the skin. The silky finish helps to reduce friction when moving on top of or under the sheet at night and so reduces the chances of irritation developing on the skin. Those who like pastel colors and want something a little prettier for their bed linen. People with allergies – these are hypoallergenic and can help to deter dust mites. Those who have deep mattresses. People who toss and turn so much at night that their linen all comes off. The elastic used here is strong, and it will prevent the linen from shifting during the night. People who cannot stand the feel of silk or satin. There are some people who find the feel of these smoother fabrics off-putting. If you don’t like the idea of sliding into bed at night, these are not the best bet for you. Those with a less flexible budget. If money is tight, consider a different option. These are an investment purchase and will still set you back a good few dollars. Someone who just needs them for a little while. Let's say that you want to put new sheets in the guest room because Aunt Clara is coming to visit over Christmas. Do you shell out for these? No, these are not the type of linen to use once a year and then put back in the cupboard. People who like their linen to be wrinkle-free. It is one failing with this type of fabric – it wrinkles very quickly, even if you do follow the right care instructions. Even if you do iron them, a couple of nights of use will bring in a whole new crop of wrinkles. Overall, aside from the wrinkling, these sheets performed very well. The quality craftsmanship does shine through. Considering the soft feel of the product, how long it will last and the fact that it is biodegradable, there are a lot of advantages that make up for the wrinkly nature of it. Is this good value for money? If you are someone that likes a bit of luxury or someone that wants something that won’t pill after a few washes, yes. The temperature regulating properties also make it a good buy for hot sleepers. 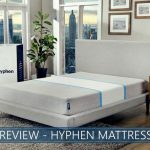 Basically, if you are looking for a way to sleep more comfortably at night, this is something that you should consider buying. Thread Count for Sheets – Does it Really Matter? What's the Difference Between Viscose and Rayon Fabric? Bamboo Fiber vs. Cotton Sheets: Which Ones are Better?